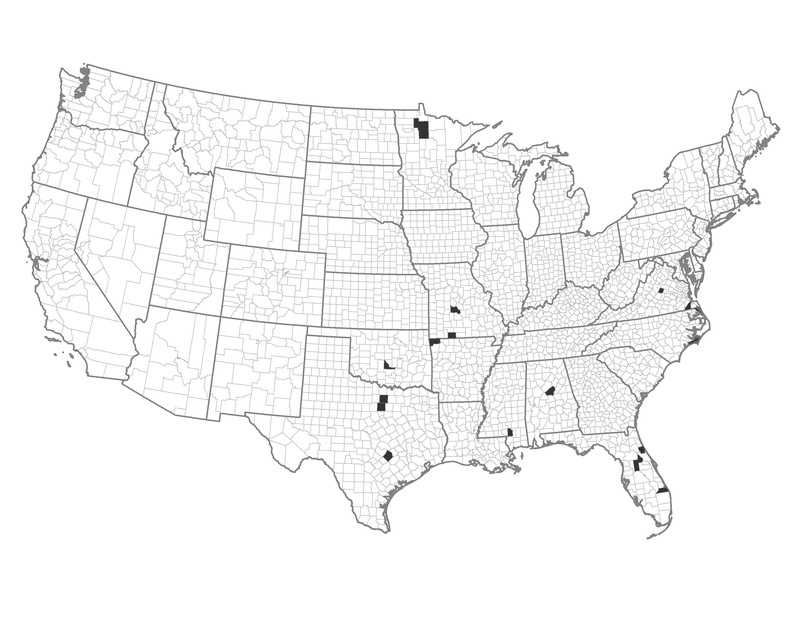 These counties lie within suburban communities in the eastern half of the United States, and can be characterized as bedroom communities. These areas have a higher demographic advantage and lower fire occurrence. Example of a Typical County — Shelby County, Alabama: Situated only 10 miles south of Birmingham, many residents of Shelby County commute to work.